Ancient, majestic and rich in unspoiled scenic pastureland, Meath is the perfect place to escape the stresses and strains of modern life. Situated in Ireland’s Midlands and known as the Royal County, Meath was once the seat of the High Kings of Ireland, and is one of Ireland’s most historic counties with an overwhelming array of mind-blowing sites. These include the UNESCO World Heritage Site of Newgrange and the Hill of Tara, which was the traditional seat of the High Kings. 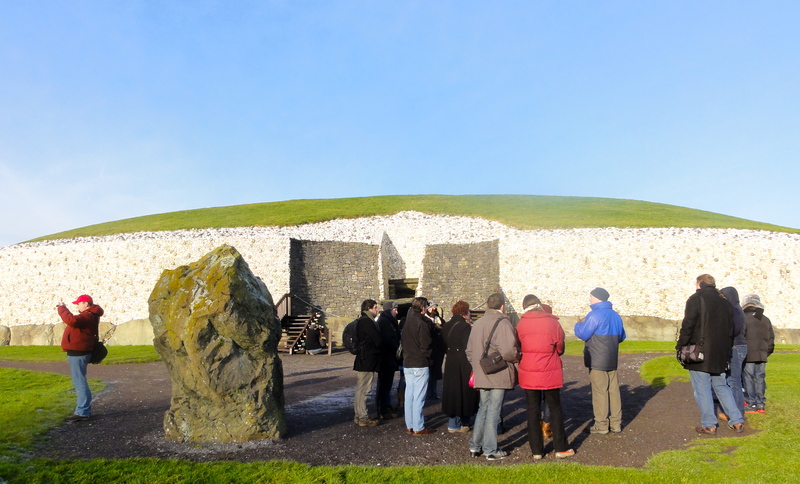 Astronomical Newgrange: This elaborate burial mound is arguably the world’s oldest astronomical observatory, and justly one of our scientific wonders. It was precision engineered so that, each winter solstice, the rising sun shines through a special opening to light up the inner chamber. It was built by Stone Age people who had neither metal tools nor the wheel, yet their observatory marks the turning point of the solar year and was built 1,000 years before the astronomical alignment at Stonehenge. This entry was posted in Did You Know?, News, Private fully guided day tours from Dublin, Visiting Dublin Ireland and tagged best day tours from Dublin, climate, day tours from Dublin, day tours unplugged, heritage ireland, Hill of Slane day tour, Hill of Tara day tour, Hill of Tara day tour from Dublin, ireland, Monasterboice day tour from Dublin, Newgrange, Newgrange day tours from Dublin, science, the High Kings, things to do county meath, transportation, travel, UNESCO Heritage sites Ireland, unesco world heritage, unesco world heritage site, Wicklow day tours. Bookmark the permalink.